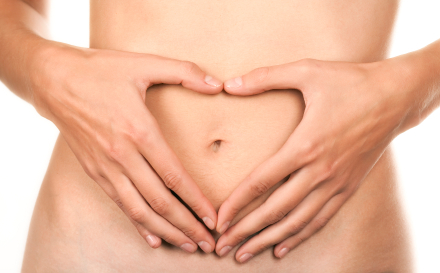 Period Pain… How Can A Naturopath Help? Period pain can largely be attributed to nutritional deficiencies, which are common amongst young menstruating women, particularly teenagers. Period pain is also linked to imbalances of the female reproductive hormones. In our modern world hormonal imbalances are common and can have devastating effects on health with long term complications such as infertility. A common treatment for period pain, particularly in young people is the administration of the oral contraceptive pill. However, unfortunately this treatment often comes along with unwanted side effects including depression, mood changes, fatigue and weight gain. There are also risk factors involving the cardiovascular system in association with long-term use of the oral contraceptive pill (OCP). In some instances the pill may be beneficial short term for certain patients, however like many medicines it is designed to try to control symptoms and not treat the cause of the underlying pain causative factors. If your period pain is still being experienced and you take the OCP, then a Naturopath can assist with expert dietary and lifestyle advice to work along side your OCP. Sometimes GPs don’t advise of what dietary changes and supplementation are required when they prescribe the pill and this can often lead to dietary deficiencies. And, if you are experiencing pain but don’t take the pill and would like to avoid it due to unwanted side effects, then a Naturopath can help to balance your hormones naturally. This is achieved via the use of herbal medicine, nutritional therapy and homeopathy. So if you or your daughter are experiencing pain, please book in and see Amelia, our new fully qualified Naturopath and let her work with you to alleviate the symptoms naturally!